Do you desire beautiful, long lashes but have difficulty getting yours to grow? Are you resorting to fake lashes with detrimental glue or individual lashes that can damage the few lashes you have? Well before you repeat the cycle, how about trying a different approach? There is a new treatment that can help you realize your dream of long and healthy lashes. It is called Latisse Medina! Latisse is a new product that we offer at Dermatologic Surgery Center to assist our clients with their needs. So, come into our clinic today in Medina, OH and our staff will assist you in your aesthetics journey. 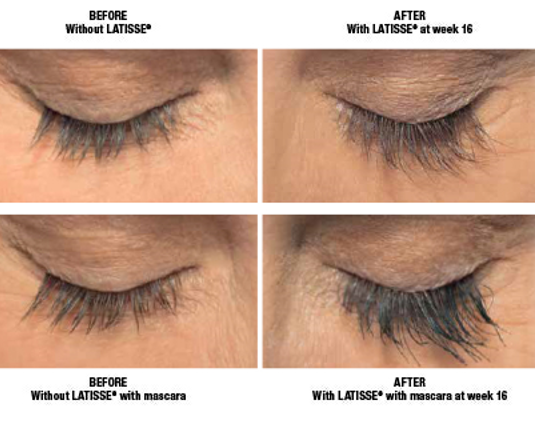 Latisse is an FDA-approved treatment that repairs and grows lashes, for people that have inadequate lashes. Latisse is a doctor-prescribed medicine. This medicine consists of a dropper and an applicator. As per the instructions, patients must apply this medication daily for 8 weeks; after which is a maintenance schedule of every other day. Per the instructions, patients must use the applicator to put a drop of the medication along the lash line. While it will not be harmful if it gets inside the eye, it is important to keep the medication along the lash line, as repeated drops into the eyes may result in brown discoloration. It is not necessary to apply the medication along the bottom half of the lashes. Because the medication travels to the bottom half when blinking. 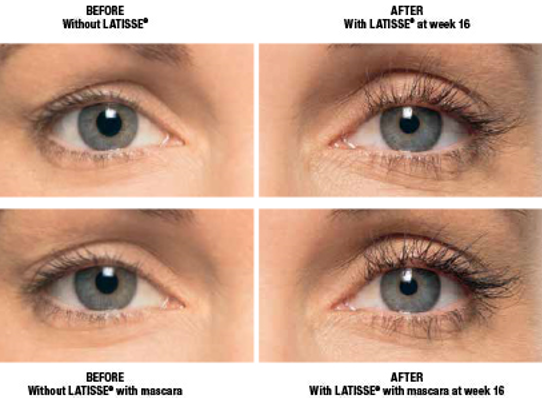 The effect of Latisse is significant lash growth. Patients who use this treatment notice a significant percentage of lash growth. They are also stronger and thicker. However, it is important to keep using Latisse Medina to maintain these results. While taking this treatment, your lashes will stay strong and full. However, discontinued use of Latisse may reverse the effects on your lashes. Why should you get Latisse? Latisse is a good treatment for people who are tired of spending money to enhance their lashes. If you’re tired of applying false lashes day after day or paying for expensive lash extensions, then this treatment is right for you. At Dermatologic Surgery Center in Northeast Ohio near Akron, we will help you achieve your dream of beautiful lashes. With this treatment, you will be flaunting your long lashes in no time. Our clinic stays at the top of aesthetic news and treatments to bring you quality aesthetic medications. If you think Latisse Medina is right for you, then schedule a consultation today! Our staff is highly trained and certified in aesthetic treatments. We are constantly staying on the cusp of aesthetic developments to bring variety and quality to our patients. So, contact us today and begin your journey to the dream you! Our Dermatologic Surgery Center clinic is in Medina, Ohio.